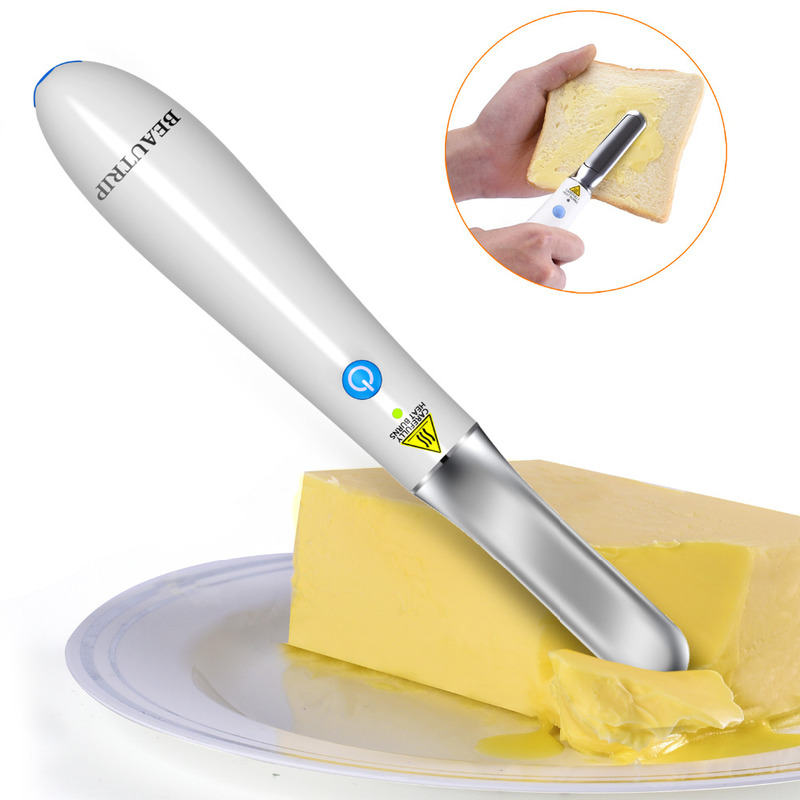 Melt Butter, Warm Ice Cream And Spread Cheese Effortlessly, Thanks To The Ultimate Heating Knife! How many times have you found yourself struggling to slice your butter and spread it over your bread? 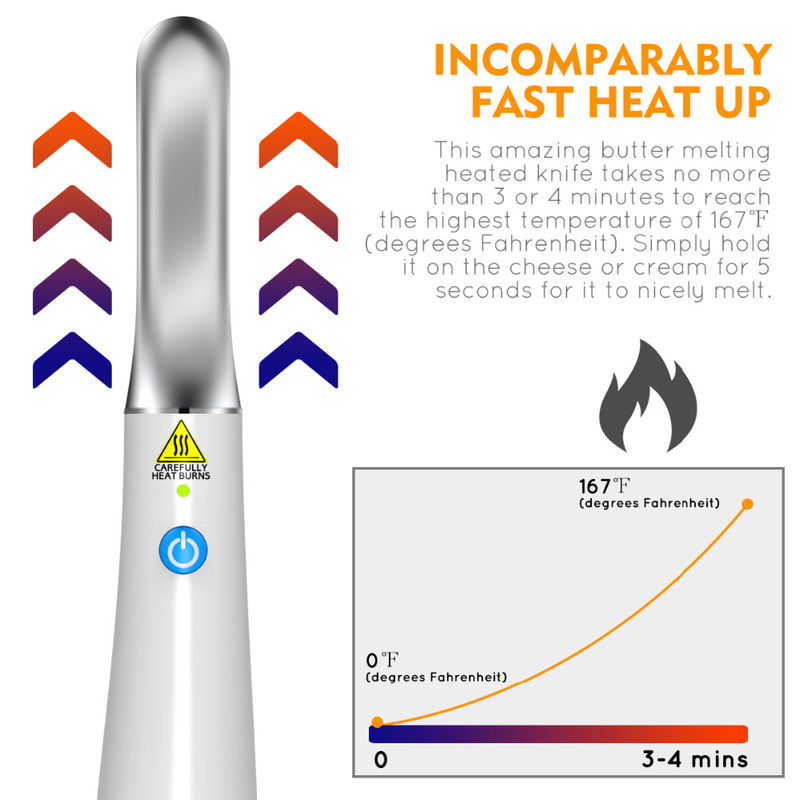 How would you like being able to effortlessly melt your cheese and warm your ice cream without creating a mess in your kitchen? 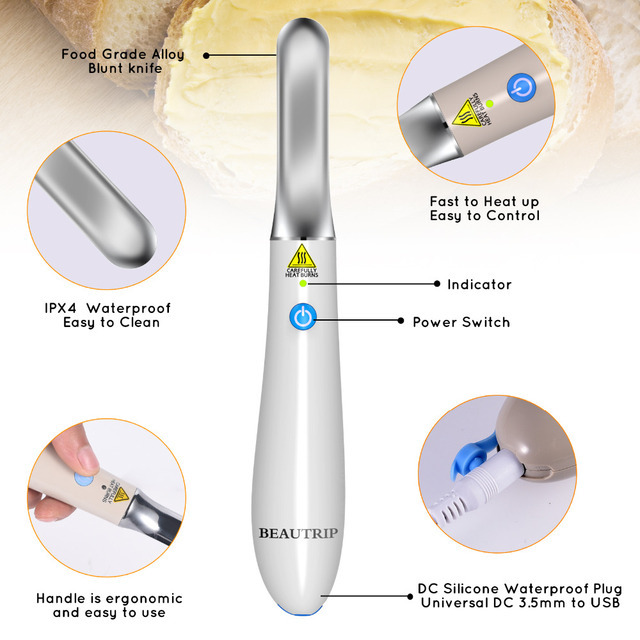 If you have beenlooking for the ultimate heating kitchen knife, your quest stops here as the butter melting knife is bound to meet all your demands! and which can reach a 167℉(degrees Fahrenheit) temperature within 6 to 7 minutes. 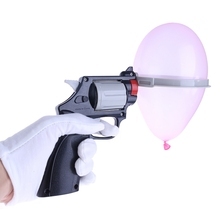 What is more, the1.35″ diameter, ergonomic handle which assures a comfortable, firm grip andwhich is made of food grade ABS, has been carefully designed to protect your hands from burns. 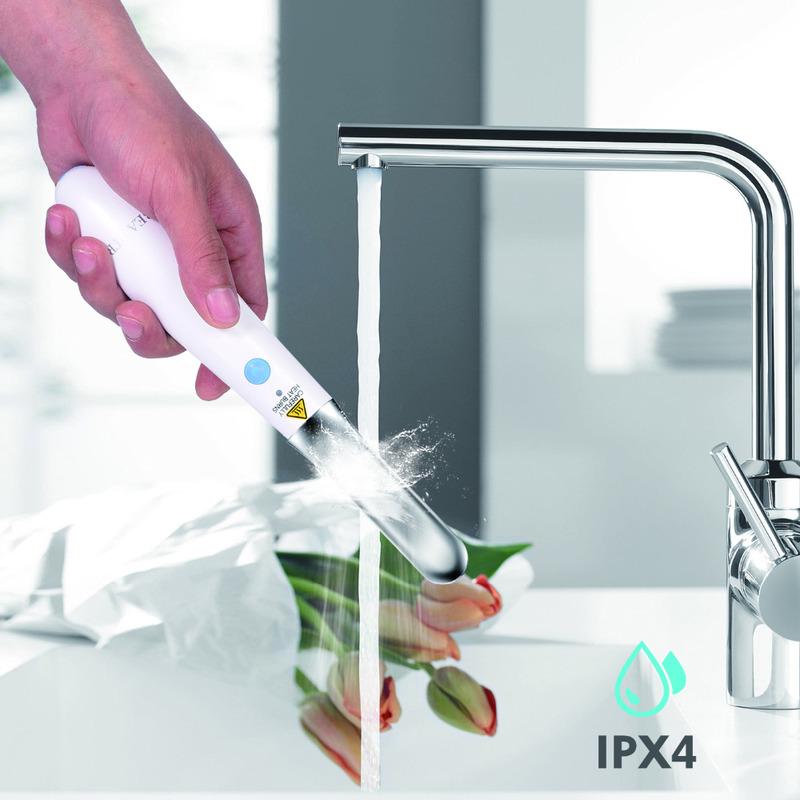 The waterproof construction makes cleaning you heated knife an easy task. All you need to dois wipe off the water and dry the surface right after cleaning it. The powerful battery allows long hours of use, giving you the chance to use this warming and spreading knife outdoors during picnics, short trips, barbecue gatherings and more! 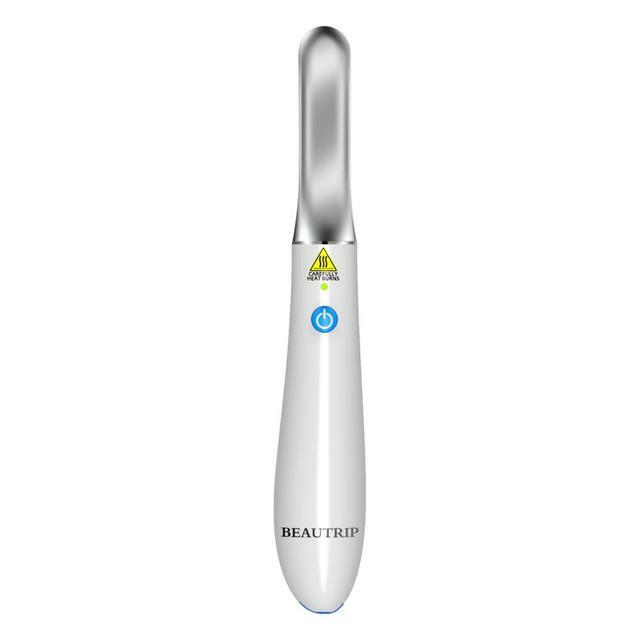 The lightingindicator will help you check whether the knife is on or off and when it isready to use at a glance. 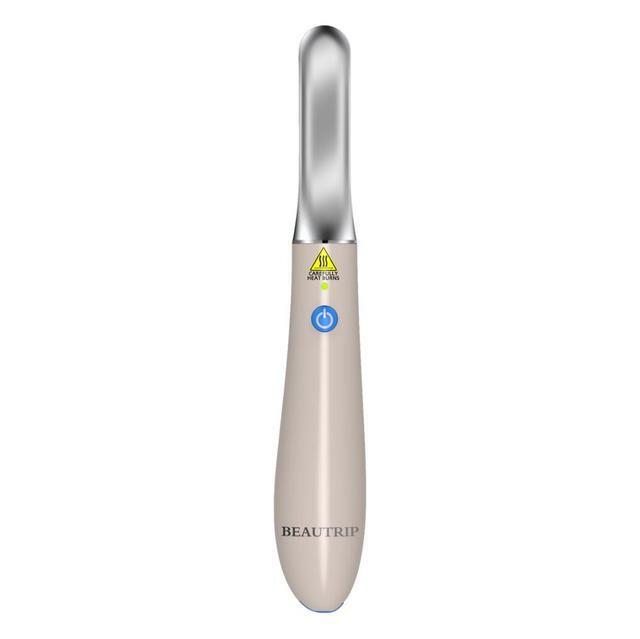 Last but not least,this heating knife will automatically shut off after 15 minutes of standby use, preventing accidents. 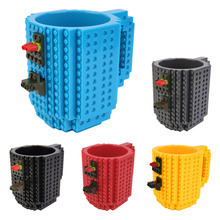 Apart from the heated knife, you will receive a charger cable and a handy user manual.